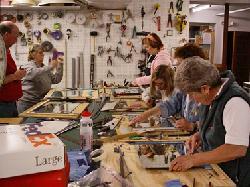 All of our regular classes are run in an “Open Workshop” style. Beginning students are “spoon-fed” a small suncatcher, which takes 1-2 classes to complete, after that the sky is the limit! 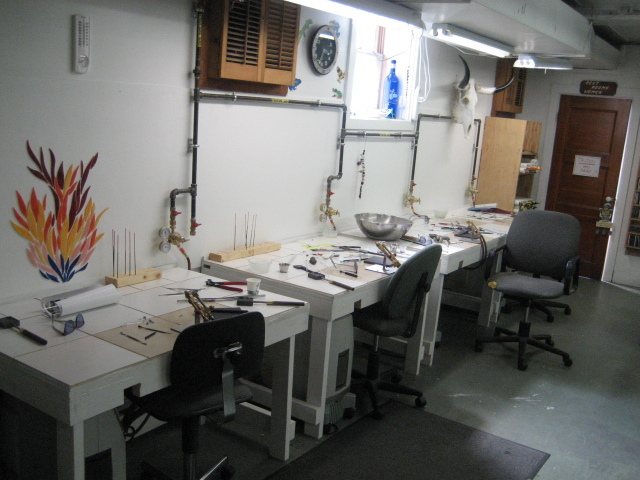 Our expert glass artists and instructors are here to help. Whether you are a beginner or advanced artist. It is our job to help you to successfully complete any glass project you may have in mind. 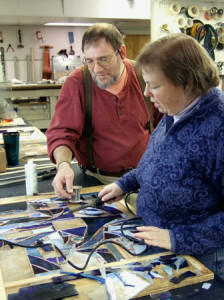 Participants who choose to continue, can explore new possibilities in lead came assembly, fusing, slumping, painting and enameling, mosaic methods and sandblasting techniques. $25/ Single drop in class. $40/ per hour of private lessons. $20/ per hour of studio time outside of class times w/no instructor. Use of studio tools free of charge. Access to our extensive patterns and library. Free access to our bountiful scrap glass. On site retail store for all of your material needs. *10% discount on all purchases of materials, tools and books….for LIFE! 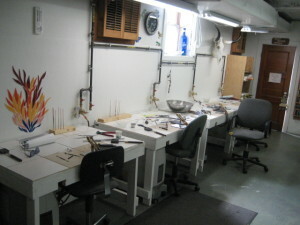 Please call Maine Art Glass Studio, 1-888-781-6700 or 207-353-6700, to register for all classes. Thank You! Escape the Maine cold and get in touch with your internal muse by taking one of our fun and rewarding workshops. Carpool with your best friend, your dad, your daughter, your grandpop, your nana, your brother, your mother, your sister or your other and have a weekend out that you’ll remember for a lifetime. Choose your own workshop by gathering three of your friends, art compadres, club members, and adventure seekers, and schedule a workshop of your own with a minimum of four participants. Request the artisan of your choice, to be held during a period of your mutual convenience. Call for details! Come help us heat up our studio by renting some torch time! Our torches are available to rent during regular business hours. A great way for new lampworkers to get familiar with the craft. Or a home for experienced artists to work on their projects in a creative environment. 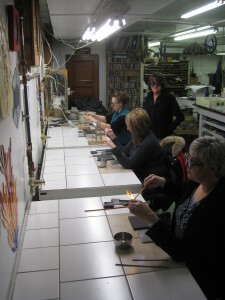 Lampworker Cynthia Legere, teaching a bead making class. Schedule private or semi-private lessons, with space for up to 3 participants. Call M.A.G.S. (207) 353-6700 today for pricing and availability.